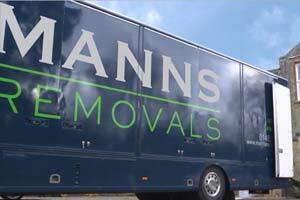 Manns Removals needed to manage their staff, driver and remote worker diaries from their head office location. They also wanted to ensure that everyone with a desktop computer was able to see everyone else’s diary with ease. Sitec has worked with Manns Removals for over four years providing IT support and new computer equipment for their location at Dunsfold Park near Cranleigh. Sitec IT researched the different solutions available and liaised directly with the MD at Manns Removals to approve the recommended solution. Sitec recommended that Office 365 Business was the best solution because it would allow the team at Manns to collaborate amongst themselves and to update the Microsoft Office software throughout Head Office with relatively little upfront cost. Not only did the solution make Manns and their team more efficient but Sitec did all the research for them and ensured that the staff all knew how to operate the new system, ensuring it was being used effectively right from the start. Although quite a small project, the implementation was delivered on-time, on budget and to the client’s satisfaction, with a firm eye kept on ensuring it was as cost effective as possible. Sitec now manage the solution for Manns and are exploring how to extend it to improve Manns existing email services.